International Physicians for the Prevention of Nuclear War is a non-partisan federation of national medical organizations in 64 countries, representing tens of thousands of doctors, medical students, other health workers, and concerned citizens who share the common goal of creating a more peaceful and secure world freed from the threat of nuclear annihilation. IPPNW was founded in 1980 by physicians from the United States and the former Soviet Union who shared a common commitment to the prevention of nuclear war between their two countries. 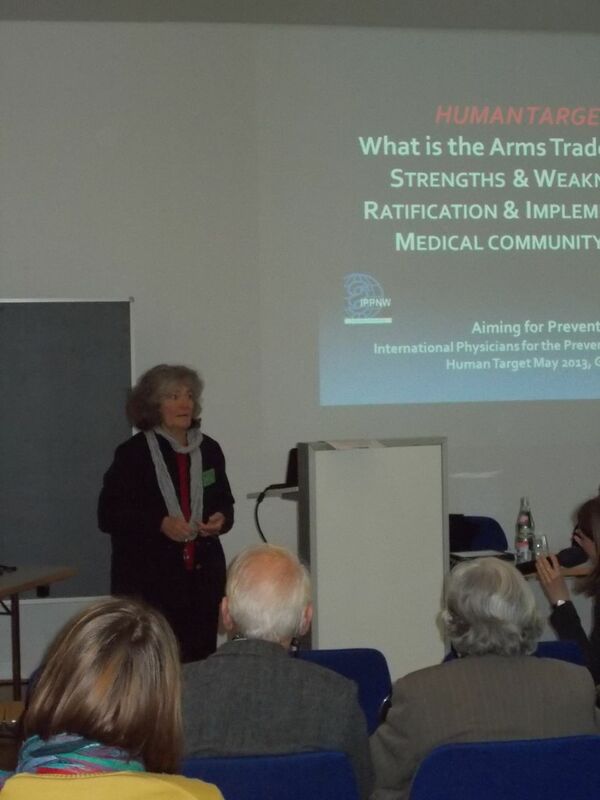 Citing the first principal of the medical profession—that doctors have an obligation to prevent what they cannot treat—a global federation of physician experts came together to explain the medical and scientific facts about nuclear war to policy makers and to the public, and to advocate for the elimination of nuclear weapons from the world’s arsenals. IPPNW received the Nobel Peace Prize in 1985. Although the Cold War ended with the collapse of the Soviet Union in 1991, the US and Russia have retained thousands of nuclear weapons ready to launch at a moment’s notice. All nine nuclear-armed States—the US, Russia, China, the UK, France, India, Pakistan, Israel, and the DPRK—are spending hundreds of billions of dollars to modernize their existing nuclear arsenals. 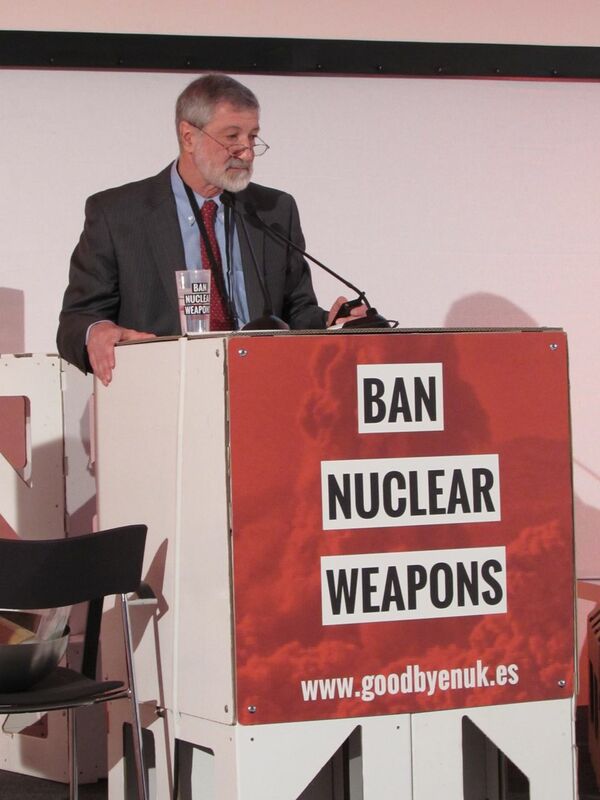 IPPNW has remained a leader in the global movement for a world without nuclear weapons, launching the International Campaign to Abolish Nuclear Weapons (ICAN) in 2007, and working with numerous other NGOs to promote a treaty banning nuclear weapons that would outlaw these instruments of mass extermination under international law. A new initiative on the Humanitarian Impact of Nuclear Weapons, bringing together non-nuclear-weapon States, the International Red Cross and Red Crescent movement, UN agencies, and hundreds of civil society groups as partners in an effort to stigmatize, prohibit, and eliminate nuclear weapons, takes as its starting point IPPNW’s long-standing message: there can be no medical or humanitarian response to the use of nuclear weapons, and the only sure way to prevent such use is to eliminate the weapons themselves. We recognize that the catastrophic health and environmental consequences of a nuclear war are at the extreme end of a continuum of armed violence that undermines health and security. IPPNW is committed to ending war and to addressing the causes of armed conflict from a public health perspective. The 1990s global campaign to ban landmines marked IPPNW’s first major entry into the non-nuclear arena. The federation became engaged in addressing small arms violence in 2001 when we launched Aiming for Prevention, which has broadened to include all types of armed violence. Aiming for Prevention has been driven by IPPNW affiliates from the global South—primarily Sub-Saharan Africa, Latin America, and South Asia—who live and work in areas where armed violence is a constant threat and consumes significant portions of health care budgets. IPPNW is an active participant in the World Health Organization’s Violence Prevention Alliance. As a member of the civil society coalition Control Arms, we participated in the successful campaign for the Arms Trade Treaty (ATT), which entered into force on 24 December 2014. IPPNW is supported in large part by donations from our members and from the general public. To make a donation online immediately, please visit our online donations page. For more information about donation options and how your contributions are used to advance our goals, please visit Support IPPNW on our website.